Among the most beautiful places in the “Hells” of Beppu are the lakes of the Kamado Jigoku. 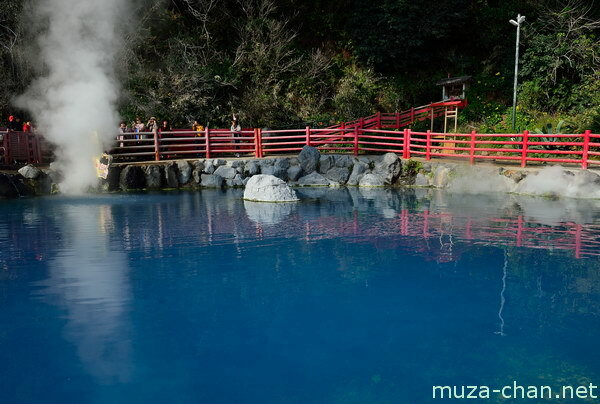 At the one photographed here, the hot water, with a temperature over 90 degrees Celsius, springs under pressure, creating a pond whose color varies between blue and green. Interestingly, the cause for the water color changing is still unknown.